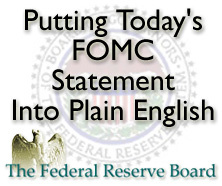 Mortgage market reaction to the FOMC statement has been even this afternoon. Mortgage rates in Nashville are unchanged and leaning lower. Note that sentiment can shift quickly, however. If today’s mortgage rates fit your budget, consider locking in your rate.